Seeing Less Helps The Brain Hear More : Shots - Health News People who are blind from birth are often better than sighted people at processing certain aspects of sound. A mouse study hints at why: Even a few days in the dark helped "rewire" the auditory center of an adult animal's brain. A few days in the dark can improve an animal's hearing, scientists report this week in the journal Neuron. This temporary loss of visual input seems to trigger favorable changes in areas of the brain that process auditory information, they say. The finding suggests there may be a new way to help people with cochlear implants, tinnitus, and disorders that make it difficult to understand speech, says Patrick Kanold, a researcher at the University of Maryland and one of the study's authors. "This won't help if you went to too many rock concerts," Kanold says. "But if this works in people, it might be useful for auditory processing disorders." The study builds on research showing that people who are blind from birth can often do remarkable things with their other senses. "Blind people seem to have supernormal abilities in the auditory domain," Kanold says. "They are better in discriminating different frequencies or discriminating sound locations." One explanation for these abilities is that when the brain has no visual input during early childhood, it tends to use areas that would ordinarily process visual information to process auditory information instead. Scientists used to think that once early childhood was over, that kind of rewiring couldn't happen anymore. And that's why, several years ago, one of Kanold's colleagues was baffled by the result of an experiment that kept adult rodents in the dark for a few days. Hey-Kyoung Lee, who is now at Johns Hopkins, was looking to see whether the light deprivation was affecting the animals' visual cortex. "And all of a sudden we started seeing stuff in the auditory cortex — which we did not really expect," she says. To figure out what was going on, Lee teamed up with Kanold and got NIH funding for a number of experiments. In one test they kept mice in the dark for about a week. Then the researchers monitored electrical activity in the brain while the mice listened to tones of different pitches and volumes. It turned out that mice kept in the dark had neurons that responded more strongly to both changes in pitch and changes in volume. "Their sensitivity to sounds had increased," Kanold says. And their brains had strengthened connections that carry auditory information. Somehow, even though the mice were all grown up, a lack of input in the visual cortex seemed to be causing changes in the auditory cortex. "We were quite surprised to see the changes because there is no known anatomical connection that is directly between these two areas," Lee says. Also, she says, "it happened quite rapidly, which I really did not expect." And the effect persisted for weeks after the mice were back in the light. The finding could be especially important for deaf people who receive cochlear implants, says Amal Isaiah, a surgeon at the University of Maryland and a co-author of the study. The brains of these people sometimes have difficulty processing the new auditory information coming from the implant, he says. This problem is most common among people who were born deaf and didn't receive an implant until they were adults, Isaiah says. "Imagine yourself in that position, where you've never heard sound before and your brain is provided with that input," he says. "It doesn't know what to do next." 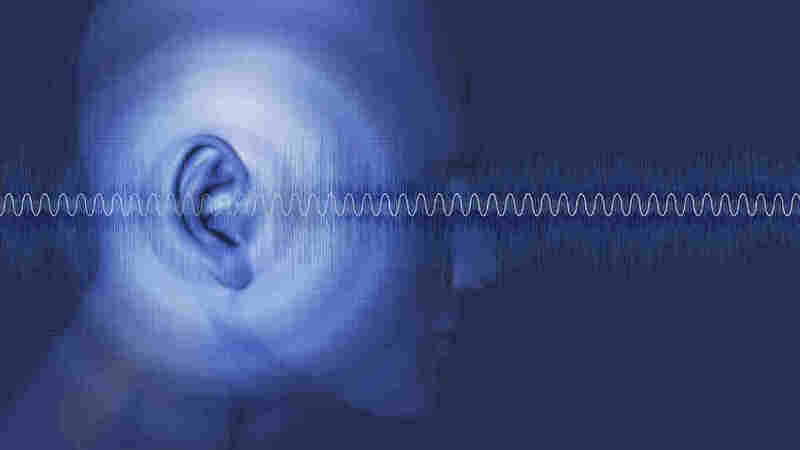 The mouse study suggests the possibility, Isaiah says, that spending some time in the dark might help the brain make sense of the sounds its hearing.